We offer a wide variety of bodywork and Licensed Massage Therapists with higher level training and some with Board Certification. We are certified massage therapists in different techniques through continuing education. We will help you determine the appropriate service that you will benefit from the most. Massage therapy provides an alternative health option to help alleviate the soft tissue discomfort associated with everyday and occupational stresses, muscular overuse or repetitive motion injuries and many chronic pain syndromes. Find your new equilibrium with medical therapeutic massage. Reduce the development of painful muscle posture, and recover quicker after accidents involving trauma and injury. Massage for stress, anxiety or depression can help reset and rejuvenate the body and relax the mind. Cranial Sacral massage and Swedish Massage Therapy in our customized wellness massages are ideal for these conditions. Warm Bamboo and hot stone services can also aid in releasing soft tissue aches and pains. A relaxing massage helps with self care. Deep Tissue Massage, Neuromuscular Techniques, Ashiatsu, Myofascial Release and Rossiter Stretching can also reduce pain and increase range of movement. Join a loved one for a Couples Romantic Retreat or spend time with a friend in a Duo Session. Experience the healing nature of SpaRitual and Slow Beauty. Unwind with combination packages good for mind, body and soul. Indulge in Ilike Organic Facial Massages. The choice is your with these unique packages. This 30 minute Add on service to massages is a mini version of the Ilike Signature Facial Massage. From Ultra Sensitive, Anti-Aging, Rosacea, Oily and Dry Skin Ilike products are fruit extracts and organic botanicals suited to meet your needs. Shoulder, neck and decollette massage may be incorporated. Please note this is considered a facial massage with products performed by Licensed Massage Therapists who were trained in Ilike Facial Massage and Lymphatic Techniques. No extractions will be performed and services will conform to Ohio Licensed Massage Therapists Scope of Practice. This 60 minute Ilike Signature Facial Massage is a thorough treatment geared towards your skin needs. From Ultra Sensitive, Anti-Aging, Rosacea, Oily and Dry Skin Ilike products are fruit extracts and organic botanicals suited to meet your needs. Facial Steamer is used. Shoulder, neck and decollete massage, as well as hand and and foot massage may be incorporated. Warm Bamboo Fusion Massage Tools are heated in a high heat heating pad. These tools are designed for a medium to deep pressure massage that will relieve tired and achy muscles and provide a uniquely indulgent experience. Hot volcanic stone massage services employ smooth, tumbled stones which are heated and applied to key points on your body to achieve maximum therapeutic effectiveness for your massage service. Stones are placed as well as used as tools to both relax and soothe achy muscles and to work with deep tissue techniques to Experience the healing power of heat combined with a fabulous, rejuvenating massage experience. Taking the time to escape with your best friend is a precious gift. Enjoy a couples retreat while experiencing The Mantra Customized Wellness Massage; complete with aromatherapy, warm stone therapy, heated towels and flax seed packs. Plan on arriving 15 minutes early to complete paperwork, enjoy some tea and relish the quiet moment. Start this mini getaway out right relaxing with a foot soak side by side with your best friend. Indulge in a pampering scalp and hair massage and de-stressing eye treatment before your 60 minute Customized Mantra Wellness Massage that includes aromatherapy, warm bamboo fusion tools, hot stones and towels. A great bonding experience for couples, mother-daughter or Girls Day or Night Out ! Please allow 90 minutes for this treatment and arrive 10 minutes prior to this service to fill out our intake forms. This package is designed to put the body in harmony with the mind. The Mantra Customized Wellness Massage in combination with a 60 minute Reiki session is an amazing journey for the body and spirit. A fully clothed option to allow the body and mind a tranquil moment. This includes 60 minutes of Reiki and 60 minutes of customized reflexology. Reiki-Reflexology-Relaxation Massage. 2.5 hours of therapy all tailored for you. 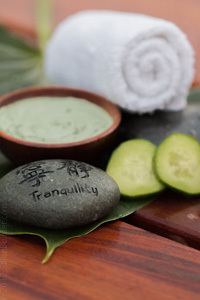 The Mantra Customized Wellness Massage is included in this package. We offer online printable/email gift certificates. All sales are final. Recipient must transfer; not purchaser. We gladly accept SpaFinder gift certificates and cards as well as SpaWish and SpaWeek gift cards. We accept Health Savings Accounts (HSA) and also Flexible Spending Accounts (FSA). Series packages available for a discounted rate. They are non refundable but are transferable. Our rates reflect full time on the table. These are not negotiable.